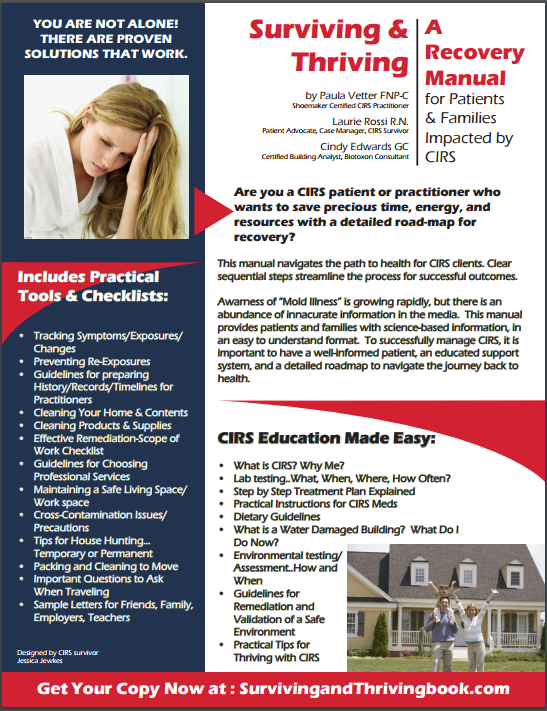 Are you a CIRS patient or practitioner who wants to save precious time, energy, and resources with a detailed road-map for recovery? "...I was taught about the physiology of CIRS…..what was happening to my body and how we were going to reverse these devastating effects. I had never had medical treatment like this before. Someone actually cared enough about me to teach me to be my own advocate going forward. I now had the tools to manage CIRS." "They care deeply about their patients and want them to get better." This manual will be a great asset for those who are struggling to recover their health after suffering from an elusive and misunderstood chronic illness. For the first time ever, in one easy to use resource, this manual offers practical tips for day to day managagement and recovery from the devastating symptoms of CIRS. Essential for patients, families and practitioners. Copyright © 2017 by Paula Vetter FNP-C, Laurie Rossi R.N., and Cindy Edwards C.B.A. All rights reserved. No portion of this publication may be reproduced, stored in a retrieval system, or transmitted, in any form or by any means (electronic, mechanical, photocopy, recording, or otherwise) without the prior written permission of the copyright owners. or offer advice on your personal situations. 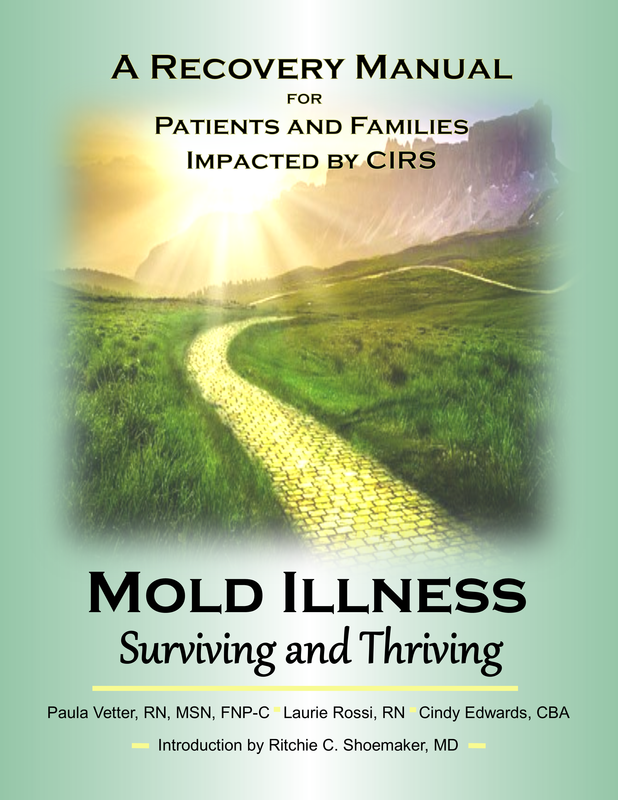 with your CIRS Team, so that you are all on the same proven path to sustained recovery.